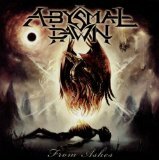 Abysmal Dawn is an American death metal band from Los Angeles, California. Their latest album, Leveling The Plane Of Existence, was released in 2011. The band was formed by Charles Elliott (guitars/vocals), Jamie Boulanger (guitars), and Terry Barajas (drums) who circulated a three song demo in winter 2004. The demo garnered some attention for the band within the underground metal press circuit as well as helped them score gigs alongside Exodus, 3 Inches of Blood, Hate Eternal, Into Eternity and Aborted. In November ‘05, the band began work on what would become their first proper full-length From Ashes with engineer John Haddad (Intronaut, Eyes of Fire, Phobia). The resulting nine songs paid special attention to not only brutality, but song craft as well and earned the band a remarkable international press response for a debut album. On the strength of From Ashes, they earned their first U.S. tour, a five-week juggernaut alongside Six Feet Under and Decapitated and played as support throughout their home state with the likes of Suffocation, Emperor, Immortal, Goatwhore and Decrepit Birth. 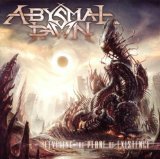 In 2007, Abysmal Dawn played a handful of festivals (LA Murderfest, Gathering of the Sick, Burning Star Metal Fest, and more) but most of the band’s time was devoted to writing and rehearsing new material for their follow-up to From Ashes. 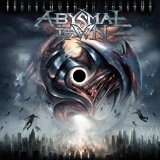 By November, Abysmal Dawn had entered Haddad’s new studio to begin the next full-length.